Use these family Valentine poems to express your love to people you're related to--husband, wife, mom, dad, daughter, son, sister, brother, parents, grandparents, etc. These Valentine's Day poems for family include a variety of family members. You get an "A" on the test! Valentines card poems for family members are popular but people also send Valentines messages from one family to another. Here's a Valentine Day poem for family to family. It's another rhyming poem. Our family and yours--everything blends. A wonderful feeling, satisfying and warm. We wish you the best on this Valentine's Day. We're sending good thoughts--an affection bouquet. We think your great family is one of a kind. Sometimes family Valentine poems are aimed not just at an individual but at an entire family. Here’s a rhyming poem that is a Valentine's Day poem for a family. In ways you can’t express. We hope you enjoy these free family Valentine messages. Valentine greeting card sayings are for all family members. In addition to the son Valentine poem above, here's another family Valentine poem that's a Valentine poem for a son. We love you a lot, you should know. We love you wherever you go. For you, and the way that you’ve grown. You bring us so much pleasure. We’re oh so proud of you. Valentine greeting card messages are very popular. This family Valentine’s Day poem for a sister celebrates the special bond sisters have with each other. 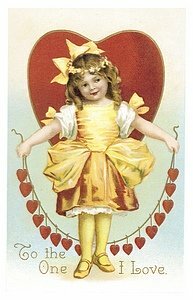 Search numbers are big for Valentine greeting card verses for sisters, so family Valentine poems should include a sister Valentine poem. 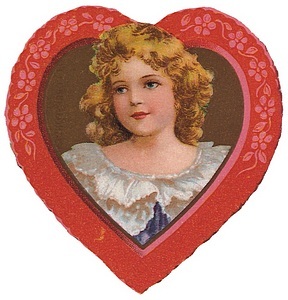 This family Valentine poem for a sister reminisces about the past. And I’m really glad you’re mine! To have a sister just like you! on the Rhyming Poems page. 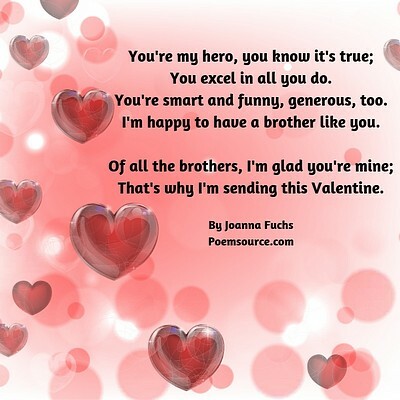 Family Valentine poems would be incomplete without brother, so here’s a free Valentine verse for that special guy. I’d never settle for any other. Here's another brother Valentine poem in an image. Mothers are super popular for all kinds of greeting card wishes, so family Valentine poems have to include Mother! This mother Valentine poem expresses your gratitude. One of the top searches for family Valentine poems is for mom, so here is a Valentine poem for mom that tells her what she means to you. gives more love than you do. I couldn't be the person I am. You are the foundation of my life. to give me a boost when I need it. and I feel so blessed that you are my mother! More people are looking for Valentine poems for mother than for any other kind of family Valentine poem. This Valentine's Day poem for mom is sure to please. And she guides me in life as you’d steer a big ship. I bet she’s the best Mom anyone ever had." And I love you a lot on this Valentine's Day! There are also poems for mom on the mother poems page and on the mother birthday poems page. Greeting card poetry for parents should include gratitude. Valentine's Day poems for parents should also be family Valentine poems expressing affection for all they have done for you. This family Valentine poem for mom and dad communicates your thanks. Your love has shone the way. These family Valentine poems could be for parents, or it could be to mom, or dad or another relative. I’m just a kid; what do I know? I only know I love you so! Being your daughter/son makes me feel proud. And I'm wishing you Happy Valentine's Day! Here's a family Valentine poem to be read aloud at family gathering, perhaps while clinking glasses in a toast. I’m so happy to be one of you. You support me in whatever I do. Oh...and Happy Valentine's Day, too! 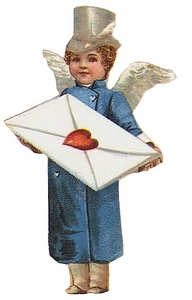 Note: If you want a romantic husband or wife poem, see our page of Valentine Love Poems. Family Valentine poems should certainly include wife Valentine poems. Women seem to like rhyming poems, so I've made all these wife poems rhyming poems. This wife Valentine's Day poem should make her feel highly valued. Whenever you’re with me, I’m filled with pride. I’m so very grateful for all you do. With little things, and big things, too. I’m so very glad that you are mine. My precious wife, my Valentine. This family Valentine poem for a wife is a wife Valentine poem communicating all the happiness she has brought to you. Because you're the adorable love of my life. For you are cute, sweet, kind, caring and wise. So that loving you better is always my goal. Than the one I am living with you as my wife. I find in you, partner; you light my fire! I am so very blessed to have you in my life as my wife. Will you be my Valentine forever? Here's a wife Valentine poem from a happily married man. And I love you much more every year. That I always learn lots from you, dear. You are truly my pride and my pleasure. And for always your love I will treasure! Family Valentine poems for a wife are popular. This wife Valentine's Day poem talks about love lasting through time. Be my partner all through life. To produce the perfect rose. If I could find the one. To have a special wife like you! Most of the wife Valentine poems are written by Karl, because he wrote them for Joanna. So here's another wife Valentine poem for all of you who are typing Valentine poem for my wife into your search box. My wife, you're a blessing from up above. A sweetheart who's beyond compare. And I'm very thankful you are mine. It was my lucky day when I found you. As we share our days in our own love song. Family Valentine poems should certainly include Valentine's Day poems for husbands. Here's a family Valentine poem--a husband Valentine poem, to really touch his heart. This year on Valentine’s Day? Should I say you’re an ideal husband? And simply say "I love you?" A Valentine poem for a husband should make him feel unique and special, as this free verse husband Valentine poem does. and many delightful bonuses as well. 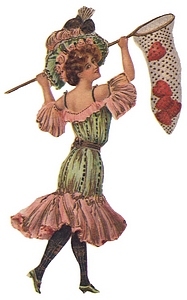 Husband Valentine poems describe a variety of kinds of love. This Happy Valentine's Day poem for a husband describes enduring love. You’re still the one for me. As all the world can see. Though you’re older now, you’re still "the man." I just thought you’d want to know. Family Valentine poems for grandma are very popular. This grandmother Valentine's Day poem expresses how much she has meant to you. It's a rhyming poem. My angel, who was sent from heaven above. A cherished person I appreciate! Well, let's not forget Grandpa with our family Valentine poems! Here's a family Valentine poem for both grandparents. This Valentine's Day poem for grandparents talks about the positive difference they make in the lives of their grandchildren. You've given me a gift I can't repay. I'd give them all grandparents just like you! I may be no more than a child to you. You may think I don’t know anything, but I do. So I’m saying this now, for recall, while I grow. Happy Valentines Day from your loving niece/nephew. This family Valentine poem for Dad is a father Valentine's Day poem that tells him how much he means to you. I love and admire you, Dad. The good times that we had. You showed me how good men should be. So Happy Valentine’s Day, from me. There are also poems for dad on the father poems page and on the dad birthday poems page. Daughter Valentine poems often describe the good qualities of the loved one, as this family Valentine poem for daughter does. You fill me with pride. Are you smarter or prettier? Lots of people are looking for daughter Valentine's Day poems. This family Valentine poem for daughter is irresistible. The gem of my life. Through good times and strife. When there’s work to be done. When you’re just having fun. 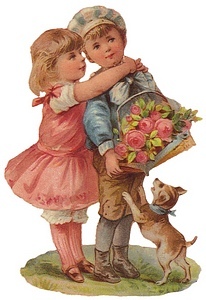 Family Valentine poems that are daughter Valentine poems are very popular. I’d play with my dolls and have lots of fun. With my real live doll named______ each day. And walking and talking, and loving and giving. Every day of the year, not just Valentine’s Day. Searches for Valentine's Day prayers also include searches spelled differently, such as Valentines prayer. This prayer created to cover your family is a Valentine's prayer that will show your love as well as Christ's love. with Your grace and protection.